Digital Home Thoughts: I am a Cat; Destroyer of Tech! I am a Cat; Destroyer of Tech! Tech is vulnerable to all manner of things. Water, power surges, gravity and blunt force trauma can all have an adverse affect on your precious toys. 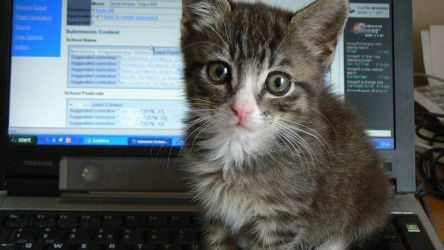 Cats, too, can prove to be a deadly force of nature, from chewing cables to furring up your fans to sitting on your keyboard and looking at you with eyes that tell you that the cat is NOT to be disturbed. Fortunately, not all is lost, as there are ways of making sure that your cats do not end up spend more time with your tech than you do.